Jellicles Can And Jellicles Do! Open up a box of CATS materials from R&H and youll see 20 vocal books, four piano vocal scores, 18 orchestral books, a full score, programming disks and a pair of yellow cat eyes staring back at you. Despite the elaborate musical materials, its reputation as a mega hit show and the thousands of performances the show played to sold out crowds on Broadway and Londons West End, CATS has made a great transition to the theatres of high schools and community groups around the country. Weve seen some fantastic amateur productions, and hope their success will inspire you to pursue some Jellicle adventures, too. In Plainview-Old Bethpage, New York, director Richard Olivari felt the challenge of the show immediately. What intimidated me the most was when I got the script, it was just a vocal score, he said. Joe Egan, who produced CATS at Nyack High School, was nervous at the start. When the director told me we could do CATS, I said, Youre crazy! he explained. Before mounting the East Bay premiere production of CATS at Encinal High School in Alameda, California, director Bob Moorhead saw acting difficulties ahead. I think the challenge for some of the students is being able to free themselves to play a cat, he told Alameda Magazine in March. Even the students were wary of the all-feline cast. Jack Newton, who played Macavity in Encinal Highs production, was surprised by the unusual ways his body had to move in the show. Its not just about dancing and running around on stage, theres more to it. It uses different muscles than other showsmore limb-oriented movements, he said. Newtons castmate, Corey Kahane, also detected a difference in the way he needed to move around the stage. Ive never done bendiness beforethe spine is a part of my body I dont know that well, he said. Despite the preconceived notions surrounding CATS, each school accepted the challenges and tackled every issuecostuming a cast of cats, finding viable scenery ideas and helping students embrace their inner feline. Everyone discovered ways of keeping costs low while maintaining a high-quality production that CATS audiences have come to expect. At Nyack High School, audiences were dazzled by a gorgeous raked stage, complete with a spare tire from an 18-wheeler found discarded along a nearby road. Hows that for an authentic junkyard? The students were instrumental in creating the scenery, painting from projections so they could trace the outlines on the stage. Students also worked hard on the original costumes, crocheting arm and leg warmers and making bushy cat tails under the tutelage of a local costume design graduate student. Because their production of CATS was one of the first in the area, costume and wig rentals werent available, so everything was created as an original piece. Best of all, the school can sell the costumes for rentals now that its production has closed. The proceeds directly benefit the theatre program, enabling them to take on even bigger costuming initiatives in the future. At Plainview-Old Bethpage JFK High School (see photo p. 12), Richard Olivari was inspired by the junkyard set he had seen on Broadway, and went in search of billboards and oversized items at industrial park dumpstersan inexpensive way to design the set. (R&H Tip: Involve local businesses in your production by recreating their logos and products in your set. That way you avoid trademark infringements with any name brands.) Olivari had a large Naming of Cats processthe cast was comprised of 68 students! And, because the show has few specific character requirements, the ensemble size can be as large or as small as needed. Encinal High School provided hands-on makeup training for the students. The schools after-school enrichment program provided time for the actors to master the intricate designs for their faces. In weekly classes, students practiced the makeup techniques to become self-sufficient by opening night. A dedicated group of volunteer parents and students created custom-tailored cat suits. They intertwined both human and animal characteristics in the costumes with a domestic cat in an apron and sophisticated cats in gowns and tuxedos with fur accents. Community theatres are also exploring CATS for the first time ever. Tom Briggs, Creative Consultant to R&H and executive director of Thalian Community Theatre in Wilmington, North Carolina, is excited to bring the show to his stage in October. Its liberating to have a show that allows you choose the environment in which to tell the story, says Briggs. 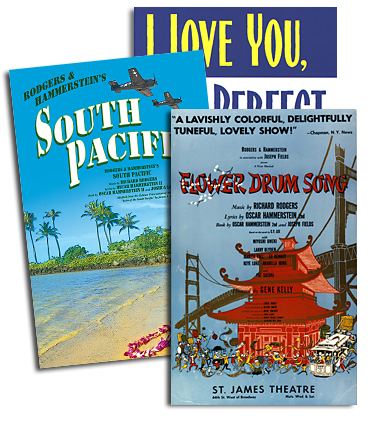 A seasoned theatre veteran, Briggs understands that because the show is only guided by a vocal score, typical book-defined sets and characters are open for interpretation. His production will be set in a broken-down amusement park, circa 1939. The setting is inspired, in part, by the playful carnival and circus references in the opening number and the song, ""Mungojerrie and Rumpleteazer."" He decided upon a specific date of 1939 because that was the year T.S. Eliot wrote OLD POSSUMS BOOK OF PRACTICAL CATS, which inspired Andrew Lloyd Webber to create this musical masterpiece. So, dear theatre creatives and innovators, you, too, can produce a fantastic version of CATSno matter the budget or stage at your disposal. 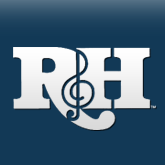 We here at R&H hope youve learned a few things from the brave folks whove let CATS out of the bag. Joe Egan was thrilled with how well Nyack High Schools show played. Now that weve done it, its hard to surpass. If nothing else, heed the words of Richard Olivari at Plainview-Old Bethpage JFK High School, Your average high school can do it because we did it. And were the average high school! Even ABC Nightline saw how popular CATS productions were across the country. They featured a segment on CATS in April, when Michelle Campbell, Principal of St. Rose High School in Bellmar, New Jersey, was interviewed for a segment about the success of CATS in schools across America. Thrilled that her students took on the challenge with gusto, and even more thrilled by their smash hit production, she added, These young people will never forget the experience.